Marijuana at the GOP Debate. In Wednesday night's debate, only Ohio Gov. John Kasich had an opportunity to answer a question on marijuana legalization, and he's not for it. He said it would send the wrong message to kids and that he had spent years of his administration working "to rein in the problem of overdoses." Texas Sen. Ted Cruz mentioned marijuana, but only jokingly, offering to buy tequila "or even some famous Colorado brownies" for debate moderator Carlos Quintanilla after a heated exchange. Law Enforcement Against Prohibition Endorses Ohio Legalization Initiative. LEAP has endorsed the ResponsibleOhio Issue 3 legalization initiative as the campaign counts down toward election day next Tuesday. "Legalization will take money away from the cartels, provide funding for public safety and health services, and reduce the violence associated with the illegal drug market. Passage of Issue Three puts us in charge, not the dealers," said retired Cincinnati Police Captain Howard Rahtz. The initiative is also endorsed by national NORML, but has split Buckeye State legalization proponents, some of who especially object to its "monopoly" on commercial grow sites. The initiative would only allow ten, on land owned by the investors who bankrolled the campaign. 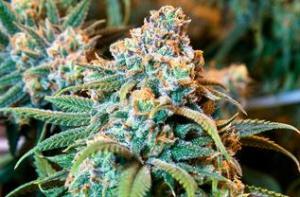 Nevada Tribe to Join Medical Marijuana Industry. The Fort McDermitt Paiute and Shoshone Tribe is planning to open a medical marijuana grow facility for economic development reasons. "Jobs to bring our people out of poverty, to create the jobs that we can better our community," said tribal president Tildon Smart. "And the profits would be used for helping out with programs." The tribe said it plans to start growing next spring. Los Angeles to Stop Giving Tax Certificates to Unpermitted Dispensaries. The city council voted Wednesday to stop giving tax certificates for new medical marijuana dispensaries. In 2013, the city approved Measure D, which banned most dispensaries, but that hasn't stopped them from opening. The city had been issuing tax certificates to them, but the council agreed that it was "insincere" to collect taxes from shops the city was working to shut down. Click on the link for much more detail. Charleston, West Virginia, Mayor Calls for Drug Decriminalization. Charleston Mayor Danny Jones told local talk radio Wednesday that reducing crime requires radical changes in the drug laws. "I don't think we're going to be able to arrest our way out of it. I think we're going to have to look at these drug laws," Jones said. "The money you would save from incarcerations, which would be in the multi-billions you could use to help people. The crime there (in the west side of the city) would end overnight if you legalize or decriminalized drugs, but there would have to be a way to get drugs to people who needed them… to end the criminality in it." North Carolina Governor Signs Partial Needle Decriminalization Bill. Gov. Pat McCrory last week signed into law House Bill 712, the Pilot Project/Used Needle Disposal bill. Under the bill, people who tell police they are carrying needles cannot be charged with either paraphernalia or drug possession based on residues in the needles. The bill also allows a handful of counties to undertake pilot needle disposal programs. 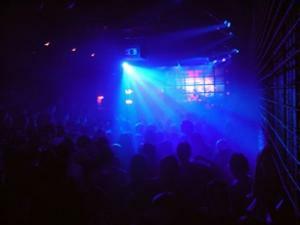 The effort was led by the North Carolina Harm Reduction Coalition. 6,000 Federal Drug Prisoners Start Going Home This Weekend. Some 6,000 granted sentence reductions as a result of policy changes by the US Sentencing Commission will be released from prisons and halfway houses beginning tomorrow and going through the weekend. About one-third are foreigners who will be deported, but the other two thirds are going home to US communities. Another 8,500 are eligible for early release in the coming year. Mexico Supreme Court Postpones Marijuana Legalization Case. The country's high court has delayed action on a case arguing that Mexicans have a human right to cultivate and consume marijuana. There is no word on when it will be heard. Bolivian President's Backers Make Coca Campaign Contributions. 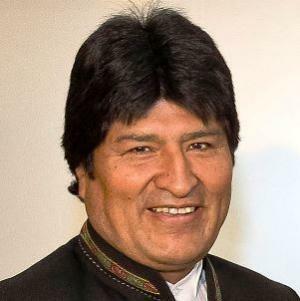 Backers of President Evo Morales, a former coca growers' union leader, are providing bags of coca and potatoes for their campaign to seek a constitutional amendment to allow him to seek a third term in 2019. One coca grower union leader said his members had pledged 20 tons of coca to be sold to raise money for the effort. That would raise about $120,000 and, they point out, that coca would not be turned into cocaine. Presidential contender Bernie Sanders announced his support for ending federal marijuana prohibition at a town hall at George Mason University in Fairfax, Virginia, Wednesday night. He will announce a bill that would remove marijuana from the list of federally controlled substances, end federal marijuana prohibition, and let states set their own policies without federal interference. "Too many Americans have seen their lives destroyed because they have a criminal record as a result of marijuana use," Sanders said in prepared remarks for the event. "That's wrong. That has got to change." No other presidential candidate in either party has gone as far as the independent Vermont senator. Democrat Martin O'Malley has called for placing marijuana in Schedule II, but Sanders wants it descheduled. 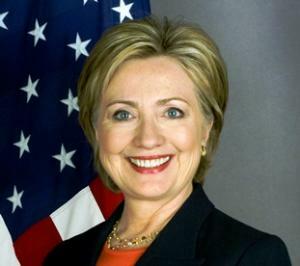 Hillary Clinton has yet to stake out a position on federal marijuana reform, saying she wants to see how legalization is working in Colorado, Oregon, and Washington first. The Sanders plan would not make marijuana legal in the states, but would remove the specter of federal interference for those states that choose to change their pot laws. His plan would also let marijuana businesses in legal states use financial services and take tax deductions currently unavailable to them under federal law. Sanders is in line with national public opinion on the issue. Support for legalization has consistently polled at 50% or greater in recent years, and a Gallup poll this month had support at its highest level ever, 58%, tied with the poll's 2013 finding. Look for Sanders' bill to be filed as early as tomorrow. Martin O'Malley Meets With Colorado Marijuana People, Calls for Reclassification. Former Maryland governor and Democratic presidential contender Martin O'Malley met Thursday with state marijuana regulators, activists, and industry representatives and said he would immediately change federal marijuana policy if elected. He reiterated his pledge to reclassify marijuana as Schedule II, but stopped short of calling for legalization. Michigan Initiatives in Midst of Signature Gathering. Two competing legalization initiatives are now deep in the signature-gathering phase. The Michigan Cannabis Coalition says it has collected nearly 170,000 signatures, which its petitioners are trying to verify as valid on the spot. Initiatives need some 252,000 valid voter signatures to qualify for the November 2016 ballot. 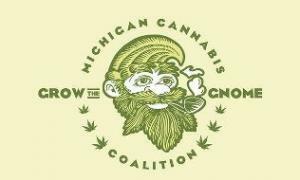 A second initiative campaign, MI Legalize didn't provide precise figures but said it is "on pace" to qualify for the ballot. MCC would let the legislature set taxes for marijuana sales and establish licensing requirements for stores. It would limit personal grows to two plants. MI Legalize would peg the retail pot sales tax at 10%, put licensing in the hands of local communities, and allow up to 12 plants for personal grows. 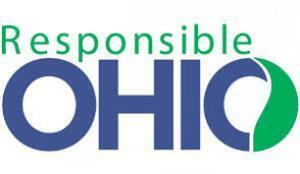 Ohio Supreme Court Orders New Ballot Language for ResponsibleOhio Initiative. Handing a rebuff to state officials, the high court agreed with ResponsibleOhio that the state's description of the initiative "inaccurately states pertinent information and omits essential information. The cumulative effect of these defects in the ballot language is fatal because the ballot language fails to properly identify the substance of the amendment, a failure that misleads voters." Now, the state Ballot Board must submit new, more accurate language. It could meet again as early as Friday. The state did win on one issue, though: Its language referring to the initiative as a "monopoly" will stay. GOP Candidates on Drugs At Last Night's Debate. Republican presidential contenders tangled over drug policy, with Sen. Rand Paul describing the damage of the war on drugs, recommending treatment and drug courts, and articulating a states' rights position on marijuana legalization, while Jeb Bush 'fessed up to smoking pot as a teenager, also endorsed treatment and drug courts, and hit back at Paul over heroin use. The anti-legalization Gov. Chris Christie touted his state's drug sentencing reforms, and Carly Fiorina claimed special consideration because her stepdaughter died of a drug overdose. Click on the link for a full review. Massachusetts Bill Would Ban Oxycontin for Children. Responding to the FDA's approval of the use of Oxycontin for pain relief for children, a state representative has filed a bill to prohibit doctors in the state from prescribing the drug to kids. Rep. Diana DiZoglio (D-Methuen) filed House Docket 4154, which has yet to be assigned a bill number. North Carolina Senate Passes Pilot Project/Needle Disposal Bill. The Senate today unanimously passed House Bill 712, which does two things. First, it states that anyone who declares a syringe or sharp object to a law enforcement officer prior to search cannot be charged for possession of the object or for any drug residue inside the object. This bill improves H 850, the needlestick prevention bill passed in 2013, which protected people from the paraphernalia charge, but not from the residue charge. Second, the bill authorizes two to four North Carolina counties to establish pilot programs to collect and safely dispose of used syringes in their communities. The North Carolina Harm Reduction Center will start these pilot programs on December 1, 2015 in Cumberland and Haywood counties. The bill has already passed the House and awaits the governor's signature. Marijuana Activists to March in Vienna This Weekend. Organizers expect up to 10,000 people to march through Vienna on Saturday to protest drug law "reforms" that will still criminalize medical marijuana patients. The march is being led by Legalize! 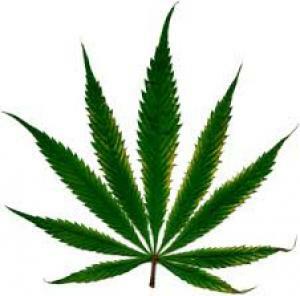 Osterreich, which has begun a parliamentary initiative to legalize marijuana. That initiative has 15,000 signatures so far. California passes historic medical marijuana regulation, Illinois blocks expanding qualifying conditions, Missouri activists gear up for a 2016 initiative, and more. 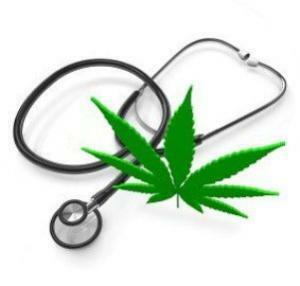 Last Friday, the legislature approved sweeping medical marijuana regulation. After nearly 20 years of wrangling over what is and is not legal under California's 1996 Proposition 215 medical marijuana law, the state legislature has passed a set of bills designed to bring order to the chaos. After working with Gov. Jerry Brown (D) on acceptable language, the Assembly and the Senate Friday passed Assembly Bill 243,Assembly Bill 266, and Senate Bill 643. The session ended at midnight Friday. Click on the title link for more, and read our feature article on reactions to the move here. Last Thursday,the governor vetoed medical marijuana for PTSD. Gov. Bruce Rauner (R) Thursday vetoed a measure that would have allowed people with Post-Traumatic Stress Disorder to qualify for medical marijuana. 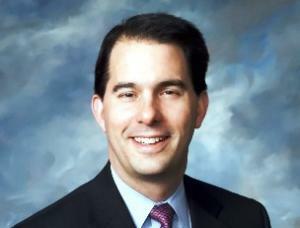 His administration also refused to expand access to medical marijuana for 10 other ailments. The Illinois Medical Cannabis Advisory Board had recommended adding the 11 conditions, but Rauner killed PTSD and the Department of Public Health killed the rest. Rauner said expanding the program was premature. On Wednesday, Iowa activists announced they would use their state's primary campaign to pressure candidates. The advocacy group Iowans 4 Medical Cannabis is taking advantage of the state's early presidential primary and the attention it generates to pressure presidential candidates to stand up for medical marijuana. The group has developed a questionnaire it plans to deliver to all the candidates. "Moms and dads across America want to know what presidential candidates are proposing to help the sick and suffering obtain medical cannabis, a proven plant that is made by God," said Maria La France, a Des Moines mother whose 14-year-old son Quincy has epilepsy. Last Friday, Missouri activists said they would run a 2016 medical marijuana initiative. The activist group Show Me Cannabis has announced it will try to put a medical marijuana initiative -- not a legalization initiative -- on the November 2016 ballot. They will need to come up with 160,000 valid voter signatures by next May to do it. Last Wednesday, Las Vegas' only dispensary was forced to shut its doors over shortages after test samples came up dirty. The only dispensary in the city, Euphoria Wellness, was forced to close its doors for almost a week after it ran short on marijuana because too many batches failed state-required contamination tests. The state basically allows no pesticides to be present, and about one-third of samples have failed, mostly over the presence of pesticides, but some for microbial contamination. The dispensary planned to reopen today. Last Tuesday, an appeals court ruled that the smell of marijuana is still enough for a warrantless search. Even though medical marijuana is legal in the state, an appeals court ruled that the smell of marijuana can still be used by police as grounds for a warrantless search. The ruling came in the case of a man arrested after a vehicle stop in which the officer used the smell of marijuana to justify searching the vehicle. Congressmen Introduce Bipartisan Bill to Eliminate DEA Marijuana Eradication Program. US Reps. Ted Lieu (D-CA) and Justin Amash (R-MI) today filed a bill that would end the DEA's Domestic Cannabis Eradication/Suppression Program. That program funds state and local law enforcement efforts to find and destroy marijuana grow sites. The bill would bar the use of such funds for that purpose. It's not yet available on the congressional website. Colorado Becomes First State to See Marijuana Tax Revenues Exceed Alcohol Tax Revenues. In the past fiscal year, the state took in $70 million in marijuana taxes, far above the $42 million it got from taxes on alcohol. Colorado Pot Tax Holiday Today. Because of a quirk in state law, the state must suspend collecting marijuana taxes today. The state underestimated total state tax collections in 2014, which results in the automatic suspension of "new" taxes, such as those imposed on marijuana under legalization there. Pot shops expect big crowds. The taxes return tomorrow. Toledo Decriminalization Measure Passes Overwhelmingly. Voters approved the Sensible Toledo decriminalization ordinance by a margin of more than two to one. The ordinance would eliminate jail time and fines for possession of up to 200 grams of marijuana. Current municipal ordinances make possession of up to 100 grams a misdemeanor punishable by a fine and possession of up to 200 grams a misdemeanor punishable by up to 30 days in jail. Under Ohio state law, possession of up to 100 grams is decriminalized. West Palm Beach Approves Ordinance Giving Police Possession Ticket Option.The city council Tuesday night approved an ordinance giving police the option of issuing $100 fines instead of misdemeanor charges against people caught with 20 grams or less of weed. The move is part of a South Florida trend toward de facto decriminalization. Iowa Activists Use Primary Attention to Pressure Candidates. The advocacy group Iowans 4 Medical Cannabis is taking advantage of the state's early presidential primary and the attention it generates to pressure presidential candidates to stand up for medical marijuana. The group has developed a questionnaire it plans to deliver to all the candidates. "Moms and dads across America want to know what presidential candidates are proposing to help the sick and suffering obtain medical cannabis, a proven plant that is made by God," said Maria La France, a Des Moines mother whose 14-year-old son Quincy has epilepsy. In India's Punjab, Half of All Prisoners Are Drug Offenders. Of the 26,000 inmates behind bars in Punjab, 47% have either been convicted or are awaiting trial under the country's Narcotic Drugs and Psychotropic Substances Act. The crush of drug inmates is overwhelming jails in the state, which have an official capacity of 19,000. Many of the drug inmates are considered "addicts," and many of the state prisons have become "de-addiction centers."